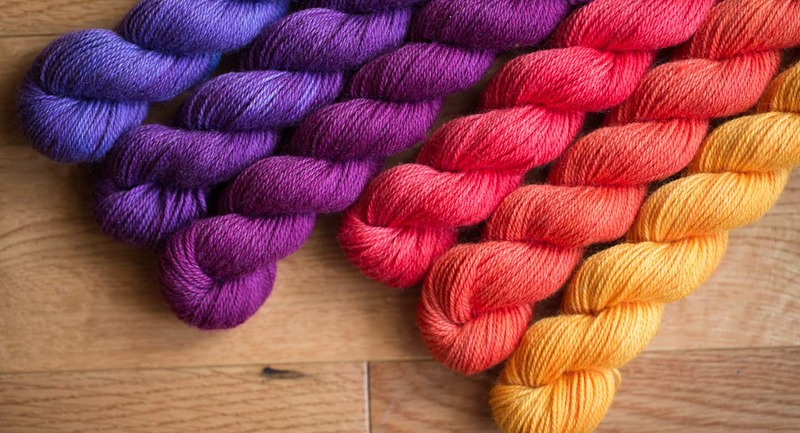 Since 2005, SweetGeorgia Yarns has been dedicated to the pursuit of passionate, relentless, and unapologetic colour. Join us now as we are create fibre arts education for our community of colour-obsessed crafters. 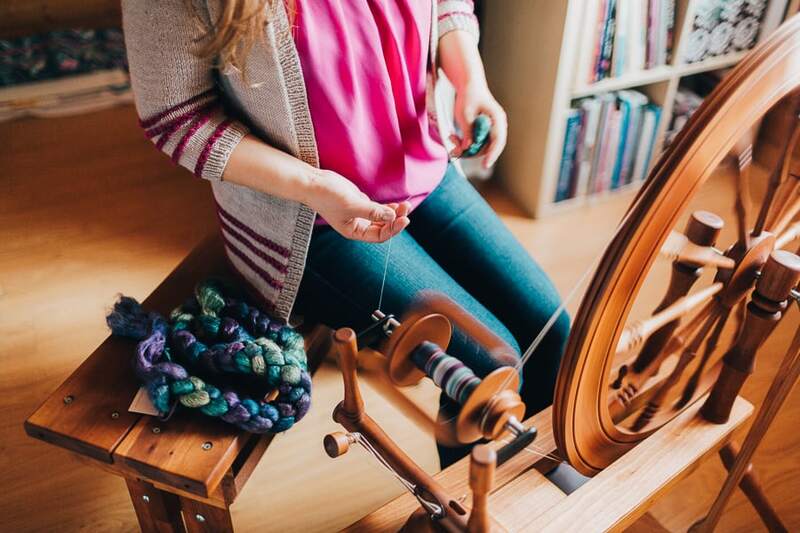 Learn the process of transforming fibre into yarn and yarn into fabric through the art and crafts of spinning, knitting, weaving, and dyeing. 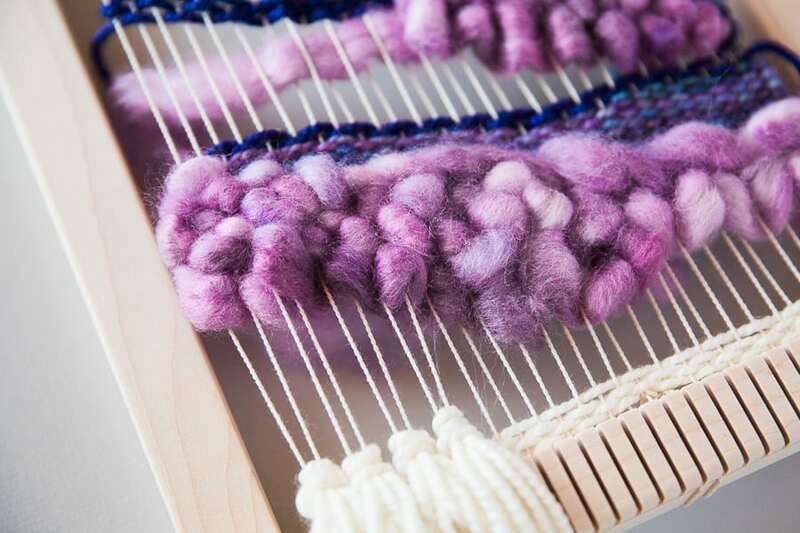 Explore how each of these crafts relate to each other for a fully multi-disciplinary approach to the fibre arts. You're busy, I'm busy... we're all running around doing a million things, it can be a challenge to find the time for yourself to enjoy a craft and learn something new. The School is designed to allow you to access your courses and community from any device. Video lessons are short and easy to watch or listen to. Written transcripts are available for every lesson. And the discussion forums work like a breeze from your mobile device. Now you really can enjoy colour and craft — anywhere, anytime. 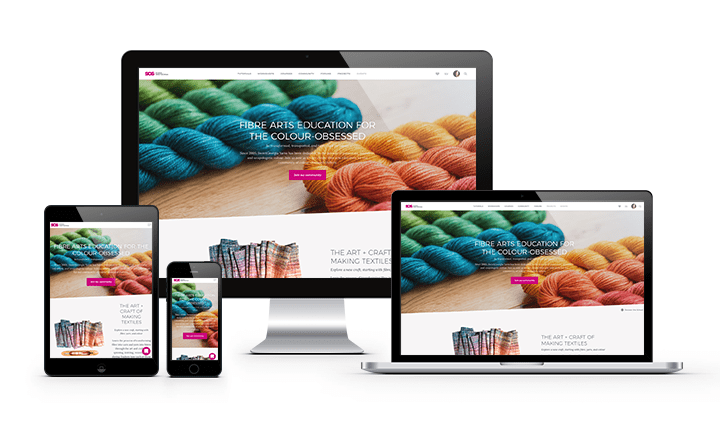 Explore over 100 educational videos about hand-dyeing, colour theory, and more. We are adding new mini-workshops, lessons, tutorials, and learning every month. 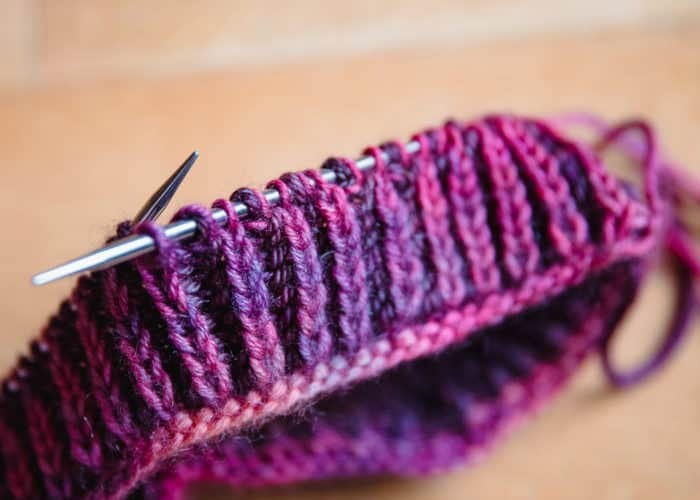 Join this supportive community of creative, colour-obsessed crafters from all over the world. Join regular LIVE broadcasts with Felicia to answer your questions and get support. It's about craft, it's about colour, and it's about to come to life. 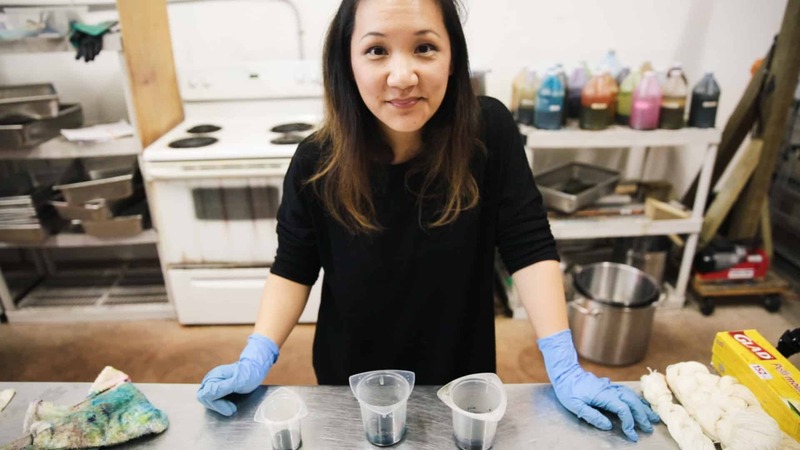 My name is Felicia Lo and I've been driven by an insatiable desire to "make & do" for my entire life. That passion has led me to become a business owner and educator. 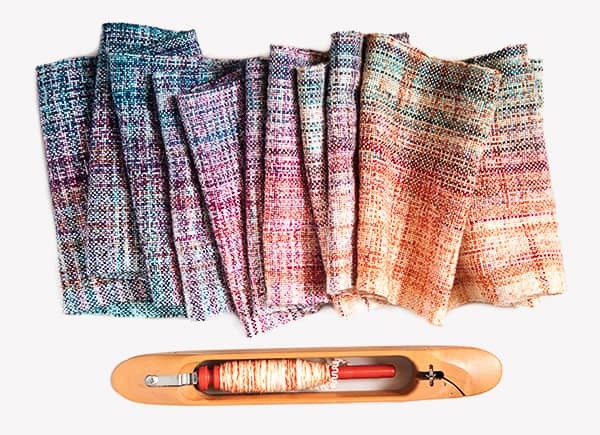 In 2005, I founded SweetGeorgia Yarns, an artisan hand-dyed yarn company, and over five years ago, I was invited to teach Spinning Dyed Fibres on Craftsy.com and in 2017, I published my first book with Interweave Press, Dyeing to Spin & Knit. The big dream that I've been working on in the background for several years now is an online school for colour and craft. 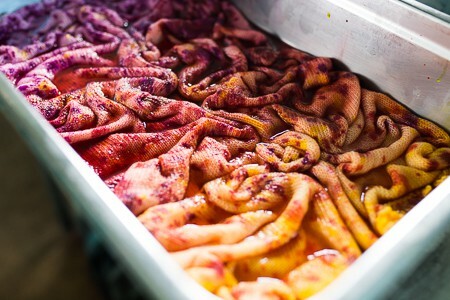 A place where we can dive deep and learn in-depth about hand dyeing with acid dyes and fiber reactive dyes, natural dyeing, hand-painting warps for weaving, spinning intentional yarns for socks or shawls, and working with colour in knitting, and so much more. My mission is to share the joy of colour and craft. 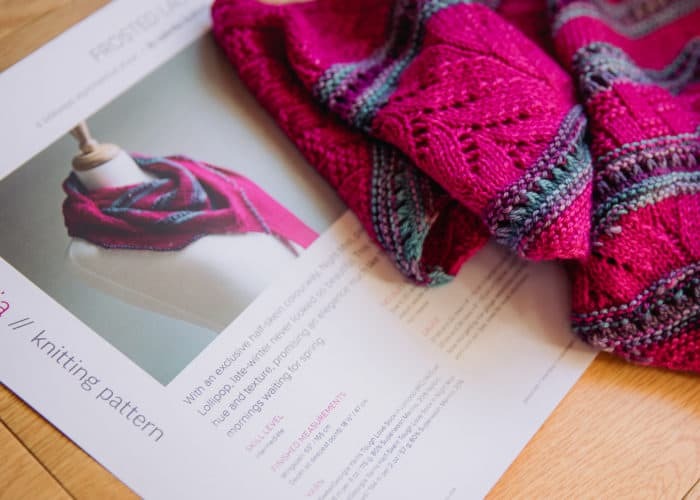 So, if you are passionate about knitting, spinning, weaving, dyeing, and colour and want to see me create video-based workshops for the fibre arts, I would love for you to join me in creating this online learning community. 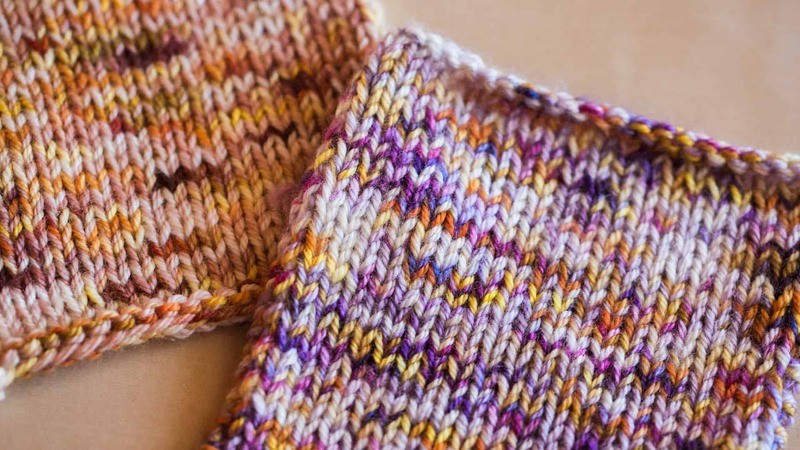 Let’s talk about knitting two-colour brioche in the round! There are very few things in life that I consider ‘rock solid’ but Felicia Lo and SweetGeorgia are one of those things. I’ve noticed that I can think more confidently and clearly about noticing and analyzing colour in my entire life, not just my ‘fibre life’. This sensitivity fuels my development as an artist, and I think it’s an invaluable learning. I’d recommend your courses without hesitation. You are now, and continue to be, gold standard. Watching Felicia at work, especially in her dyeing studio in her garage, help me develop a process of my own. And the idea of electric turkey roaster and teapot to use for small batches was the perfect ‘answer’ for my needs. Family is grateful to have the kitchen back on the weekends! Ha! I love that I can watch the lessons over and over. I learn something new each time I view one. The support Felicia provides is phenomenal – from the YouTube videos to ‘Taking Back Friday’ , the Slack and Facebook communities, and Felicia’s monthly broadcasts. All are above and beyond any online learning experience I have experienced. LOVE that it’s go at your own pace and come and go as you can. I also love that there are lists for course materials, resources etc. They are easily accessible, well-laid out and contain SO MUCH information. I think you are doing an amazing job and can’t thank you enough!! Thank you, thank you for sharing your knowledge and keeping the dye community going and even making it bigger! Signing up for this ‘school’ is the best thing I did to learn more about fibery things! What I like about the courses is they are organized into lessons that I can watch and absorb because each sub lesson is about 3-8 mins long! The Lessons are well done. Also I like that there is a written transcript of the video! If I need to review the lesson I can either watch it again or simply read the transcript. 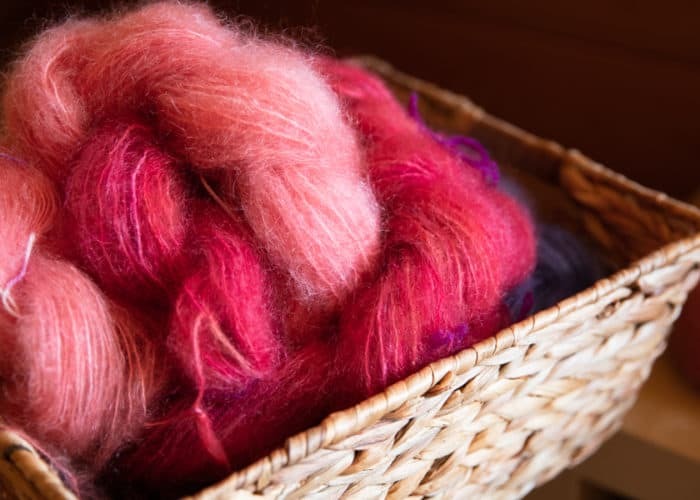 The Dyeing Complex colour class is so informative that I sort of regret signing up for dyeing classes elsewhere this month! I will be ahead of the class!